Chevy HHR was a supped up station wagon that was a throwback to the 1940s. This retro vehicle lasted 6 full years of production for GM and this is a long time in today’s auto industry. General Motors tapped its famous 2.2-liter and 2.4-liter Ecotec engines to power the HRR. The 2.4-liter is probably the most often requested because it provided the same fuel economy with a boost of about 80 horsepower. The HHR has recently been retired, but that does not mean that we do not have super low prices for Chevy HHR 2.4L engines for sale. Buying from www.carenginesforsale.com is easy and designed to actually save you some cash. We know Chevy engines. We have a staff of engine lovers and Chevrolet is at the top of our list. Both new and old engines get the same amount of love from our staff. We know that GM holds a special place in history and we are proud to offer 4-cylinder, V6 and diesel engines from our huge warehouse inventory. What you won’t find here is beat up engines that are similar to what are offered from auction sites. We have more pride in our company than that and you will have a hard time finding differences in our engines and GM factory built engines. We have used and rebuilt GM engines in stock and these are priced much, much lower than MSRP. Testing and more testing that’s what we do a lot. We probably test more than any other seller that we have found online. Why so much testing? We refuse to sell something that we do not know everything about. It is through testing that we learn so much valuable information for current and future inventory. Our testing is how we reduce or eliminate any type of claim to us for warranty service. Nothing is worse than when an engine is purchased and fails after a 6-month standard warranty. We test so that you can be assured our engines will last for many years indie of your Chevy HHR. We use certified parts and Chevy certified mechanics to do our rebuilds. Our cleanings are also performed by the same specialists. Engines are cleaned and sterilized to make sure no rust or contamination will cause problems. As you know, once rust starts it never stops. We use special sprays and cleaning supplies to protect the block and OEM parts that are added to prevent rust and corrosion. This is an extra step that few dealers take. We are different in many ways and you will find out when you own one of our 2.4L Chevrolet HHR engines. Our price quote form for Chevrolet can be found when you click here and you’ll be taken to our quote form. The lowest 2.4L price will be given and a quote for the shipping cost. 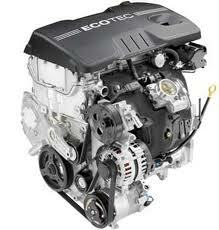 You will find that hundreds of dollars of savings are given with each Chevrolet engine that we sell. Call us toll free at 1-877-630-3873 if you want a phone quote or have a HHR question for us to answer.